You should have seen Amsterdam. Not only from the shore, but from the water! 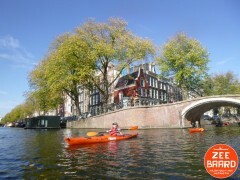 The canals covers the city like a web and they all come together on the Amstel River. 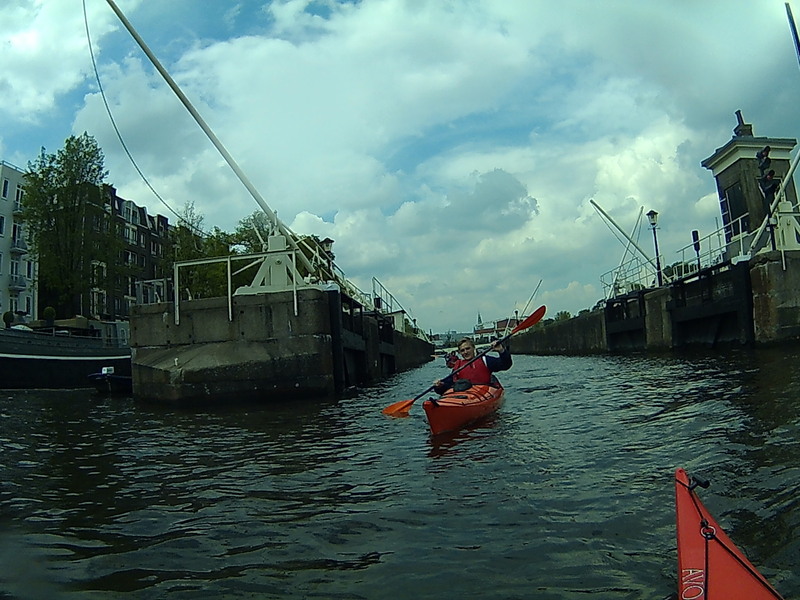 The canals are fed by water from the Amstel river. Along the Amstel are beautiful buildings and many beautiful ships, often inhabited by Amsterdam people themselves lucky to live here. 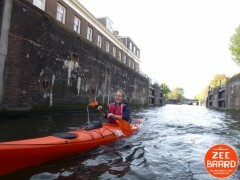 Paddle with us to make a trip on the Amstel river in a kayak. It is a journey with instruction so you can safely and comfortably enjoy the views of the bridges, boats and historic buildings. 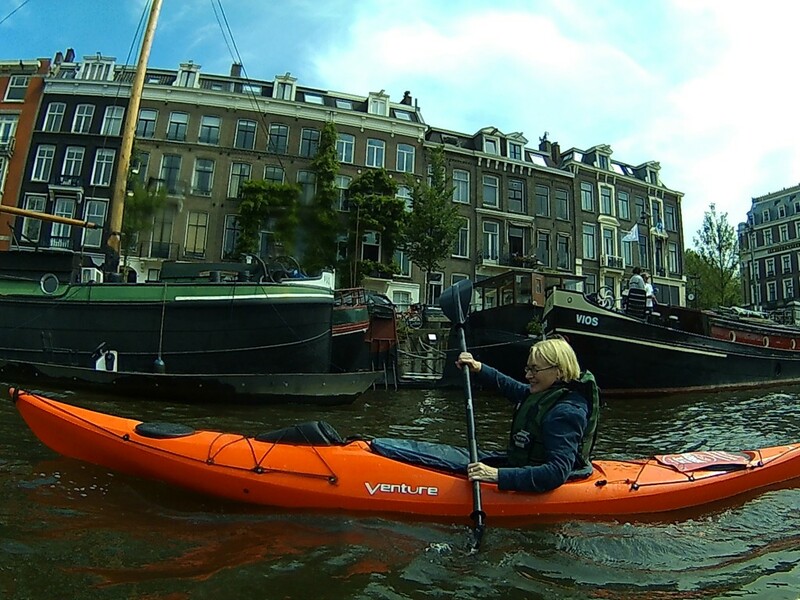 Sail along on the Amstel river and see the city from a very special perspective. 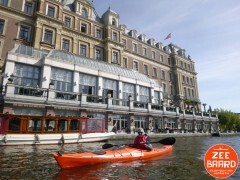 We start on the Amstel, depending on paddle speed we sail back via the canals. It is a 2 or 3 hour trip with brief instructions on the shore. 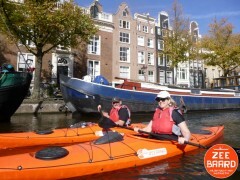 The canals can be busy with other boats, that’s why we paddle in small groups up to 6 participants. Don’t miss this experience! Select a trip in the list of tours and fill out the registration form. You can also send an email to info@zeebaard.nl or make a phonecall to +31 (0)6 3717 4130. Starting point: The trip starts in Park Sumerlust at the Korte Ouderkerkerdijk in Amsterdam. Public transport: It is a 5 minute walk from metro stop Spaklerweg. EN: All 2018 tours have been paddled, see you in 2019! / NL: Alle tochten van 2018 zijn achter de rug, tot 2019!